On, January 20, 2005, re-elected President George W. Bush was sworn in again for his second term. His 21-minute Inaugural Speech declared it would be U.S. policy to promote liberty for all individuals throughout the world. In quote after quote, the President made it clear that tyranny must end. Liberty must prevail. Although he may not have specifically realized it, such a genuine call to true liberty equally mandates that the tyranny of government oppression -- even inside the United States' borders -- against consenting-adult polygamists must likewise end. Numerous quotes in the President's speech, therefore, inspire pro-polygamists with great hope for eventual true freedom. 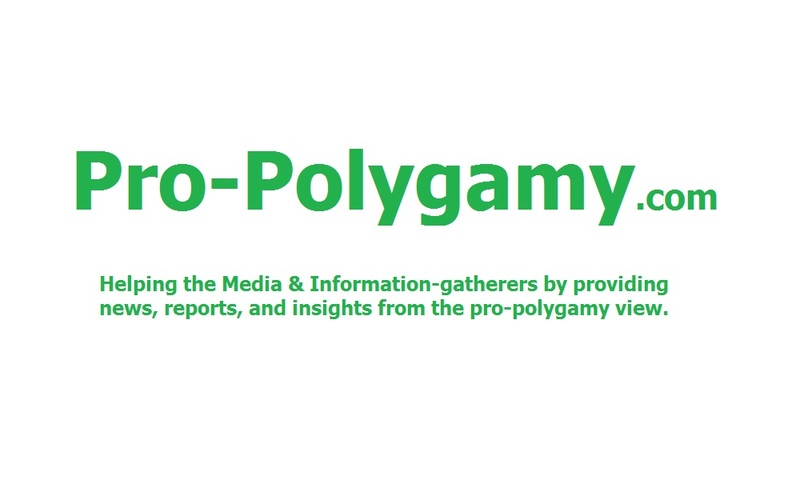 The modern "polygamy rights" movement will soon succeed -- freedom. QUOTE. "So it is the policy of the United States to seek and support the growth of democratic movements and institutions in every nation and culture, with the ultimate goal of ending tyranny in our world." QUOTE. "America's belief in human dignity will guide our policies, yet rights must be more than the grudging concessions of dictators; they are secured by free dissent and the participation of the governed. In the long run, there is no justice without freedom, and there can be no human rights without human liberty." And denying the human rights of minorities -- via unthinking, lynch-mob majorities -- also denies human liberty. Allowing the tyrannical threat of imprisoning consenting-adult polygamists for just being public about their families -- so that they may simply debate and explain their perspective in their fight for their own freedom -- is as un-American, unconstitutional, and without justice as it could ever get. So that quote offers hope indeed. QUOTE. "We do not accept the existence of permanent tyranny because we do not accept the possibility of permanent slavery. Liberty will come to those who love it." QUOTE. "All who live in tyranny and hopelessness can know: The United States will not ignore your oppression, or excuse your oppressors. When you stand for your liberty, we will stand with you." 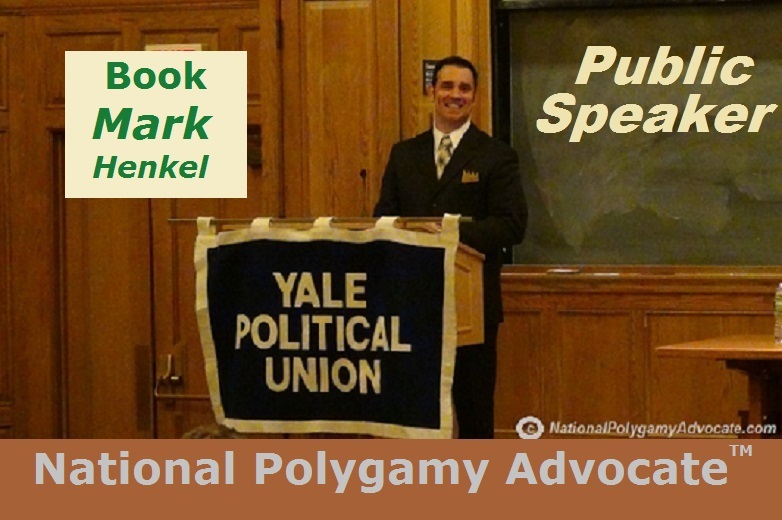 Pro-polygamists frequently do live in hopelessness from the tyranny of utterly unconstitutional bigamy laws. So the hope that fellow U.S. citizens will soon also stand for the true liberty of consenting-adult pro-polygamists certainly restores tremendous hope too. QUOTE. "Democratic reformers facing repression, prison, or exile can know: America sees you for who you are: The future leaders of your free country." 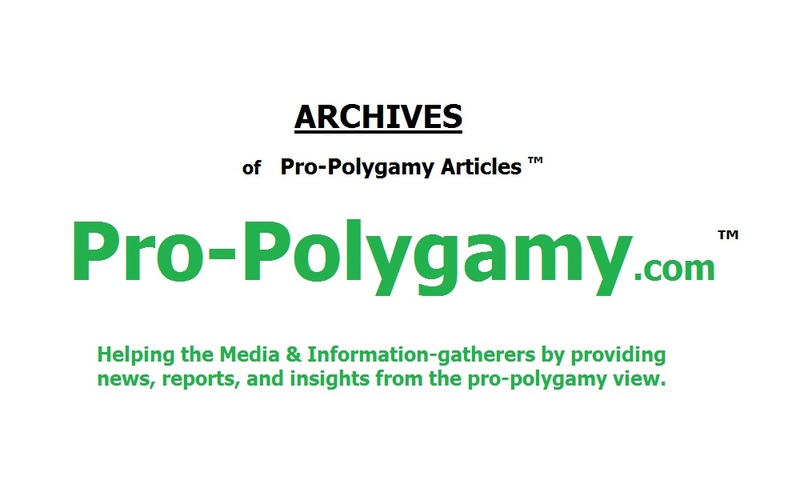 Pro-polygamy activists -- knowing that, currently, some of their fellow citizens would eagerly and mindlessly cast them into prison simply for just being capable of attracting more than one wife -- were hereby also given yet more cause to rejoice. That quote acknowledged their genuine activism for freedom, as they face persecution of the threat of imprisonment if they simply speak about their personal families in public. Indeed, it showed that "Polygamy Rights" will one day be restored and that pro-polygamy activists will also be among the future leaders of a truly free America. QUOTE. "Americans, at our best, value the life we see in one another, and must always remember that even the unwanted have worth. And our country must abandon all the habits of racism, because we cannot carry the message of freedom and the baggage of bigotry at the same time." Consenting-adult pro-polygamists have just as great a worth as any other citizen. So, in the exact same way, the baggage of hysterically biased and obviously uninformed bigotry against pro-polygamists also cannot be carried by anyone purporting to be carrying the message of freedom to others. QUOTE. "We go forward with complete confidence in the eventual triumph of freedom. Not because history runs on the wheels of inevitability; it is human choices that move events. Not because we consider ourselves a chosen nation; God moves and chooses as He wills. We have confidence because freedom is the permanent hope of mankind, the hunger in dark places, the longing of the soul." Pro-polygamists have longed, hungered, and hoped for such triumph of true freedom, to be free from anti-polygamy tyranny. QUOTE. "When the Declaration of Independence was first read in public and the Liberty Bell was sounded in celebration, a witness said, 'It rang as if it meant something.' In our time it means something still. America, in this young century, proclaims liberty throughout all the world, and to all the inhabitants thereof. Renewed in our strength tested, but not weary, we are ready for the greatest achievements in the history of freedom." Pro-Polygamists do also hear that ring and its meaning of true liberty. In this 21st century, "polygamy rights" will be one such forthcoming achievement in that history of freedom. QUOTE. "The great objective of ending tyranny is the concentrated work of generations. The difficulty of the task is no excuse for avoiding it. America's influence is not unlimited, but fortunately for the oppressed, America's influence is considerable, and we will use it confidently in freedom's cause." QUOTE. "We will persistently clarify the choice before every ruler and every nation: The moral choice between oppression, which is always wrong, and freedom, which is eternally right. America will not pretend that jailed dissidents prefer their chains..."
All political leaders of the United States have been thereby required to make the moral choice against the oppression of polygamists, to remove all criminalizing tyranny of unconstitutional anti-polygamy laws which seek to enslave polygamists as political prisoners. Instead, such leaders are directed to choose the eternally right choice of freedom for consenting-adult polygamists. QUOTE. "The rulers of outlaw regimes can know that we still believe as Abraham Lincoln did: "Those who deny freedom to others deserve it not for themselves; and, under the rule of a just God, cannot long retain it." Such powerful words! Those who would still deny consenting-adult polygamists their God-given and constitutional freedom do not deserve their own current freedom either. Indubitably, President Bush's 2005 Inaugural Speech -- in its inspiring policy of liberty for all -- laid the very foundation for why "Polygamy is the next civil rights battle." It's a matter of true liberty.